We’re proud to reveal that fantasy is in our blood. If there was any doubt, then you’ll have to check out our newest line, Old School Fantasy. OSF gives you a taste of traditional fantasy adventure, Reality Blurs style. 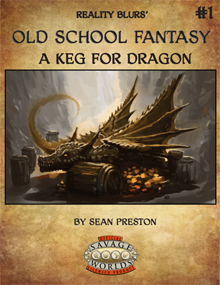 OSF #1: A Keg for Dragon is guaranteed to take you down memory lane with a fun adventure designed to be played in a single evening. Grab your dice, your minis, and your friends and go Old School Fantasy today! For only $5.00, how can you possibly go wrong? Look for pregens available soon on our website. 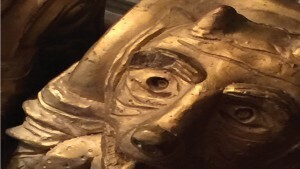 Suitable for use with SWEX and designed with the Fantasy Companion in mind, OSF adds no new stuff. Come as you are, or bring what you like.